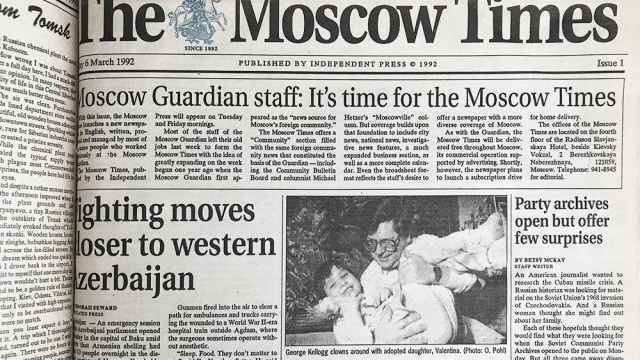 In the lead-up to The Moscow Times’ 25th anniversary, we are republishing a number of exceptional articles from our extensive archive, selected by current or former staff. This article was first published on Oct. 1, 2007, and has not been redacted in any way. Fifty years ago, the Soviet Union woke up to the space age with a propaganda blunder. On Oct. 5, 1957, the main headline on Pravda's front page said the country should prepare for winter. The real news of the day, however, was somewhat clumsily placed at the right margin. Under the headline "Notice from Tass," the state news agency explained in its trademark dull style that the Earth's first artificial satellite, called Sputnik, or "travel companion," had been launched a day earlier. While the Politburo was unusually silent about the achievement, a steady beep-beep emitted from the orbiting Sputnik was widely picked up by amateur radio operators and sent shockwaves through the world. U.S. media were caught up in a Sputnik frenzy, with The New York Times plastering its Oct. 5 front page with the headline "Soviet Fires Earth Satellite Into Space." Dubbed the Sputnik Shock, the event heralded the beginning of the space race. The West feared that if Moscow could launch objects into space, it might soon be capable of sending nuclear bombs in their direction as well. The Kremlin, however, missed a big propaganda opportunity. "We did not expect this reaction at all," Sputnik rocket scientist Boris Chertok told reporters Friday. "Neither we, nor our media first grasped the historical significance of our feat." Chertok, still spry at 95, worked in a group of engineers headed by Sergei Korolyov, a former gulag prisoner who became Sputnik's remarkable chief designer and is still revered as the visionary who started the space age. Soviet leader Nikita Khrushchev ordered Korolyov to speed up the pace for launching a satellite in the summer of 1957, fearing the United States would launch one first. The Soviet scientists decided to abandon work on a 1,000-kilogram satellite for the more humble Sputnik, a 58-centimeter-wide alloy sphere weighing just 83.6 kilograms. 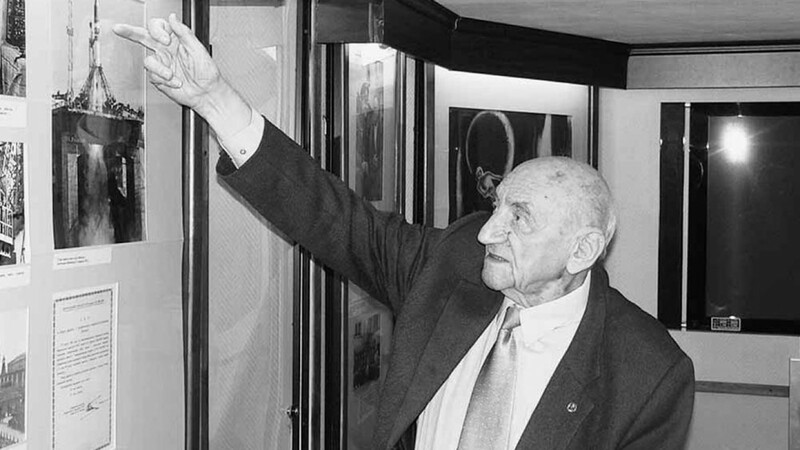 "We regarded it as Korolyov's little toy -- a no-brainer," Chertok said, speaking in the Korolyov Museum, located in the engineer's former home near Moscow's Monument to the Conquerors of Space. "We believed this would mainly interest us scientists and our students." Sputnik's comparatively large dimensions baffled Western scientists at the time. "When we learned about its weight, we thought that a decimal had been mistakenly moved because the Americans were expected to launch an 8-kilogram satellite," said Harro Zimmer, a German space expert who worked in Berlin's Wilhelm-Foerster Observatory at the time. Zimmer, who has written extensively about space flight, said the Soviet Union built bigger satellites because they also had constructed a much bigger rocket, the R-7 intercontinental ballistic missile. This was actually a consequence of a gap in weapons technology, he said. "They could not construct small warheads like the Americans." 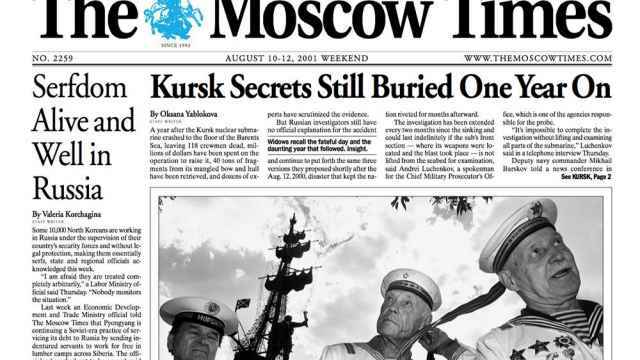 The United States' Vanguard satellite program, however, was mired in failures and dubbed Kaputnik after a rocket exploded during a launch in front of television cameras. 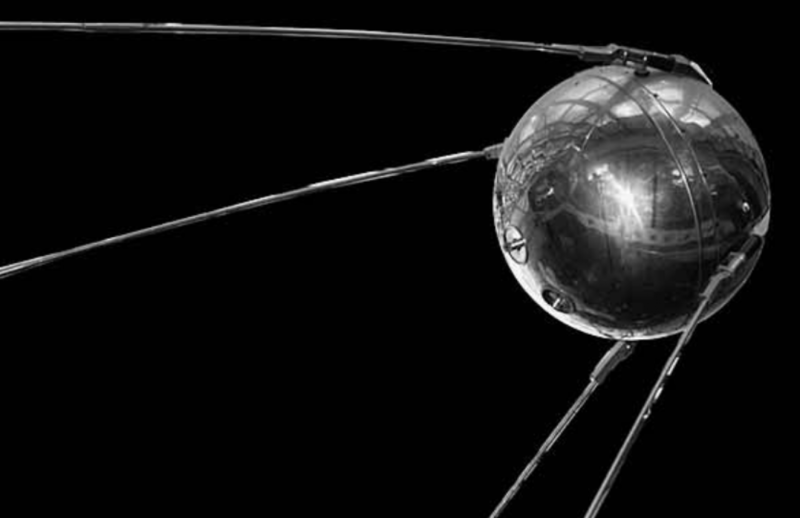 Even though it was just a metal ball with a radio and four antennas, Sputnik embarrassed the West. Its 51-kilogram battery made its beep last for 21 days, and the satellite orbited for another 26 days before burning up upon re-entry into the atmosphere. Chertok said the Soviet media could have really trumpeted the success had it not been so obedient to the authorities. "They expected orders from the party but did not receive any," he said. Khrushchev did not even bother to attend the launch. In an interview with The New York Times two days later, he acknowledged that after receiving the news by telephone that Sputnik was on course, "we congratulated each other and went off to bed." In fact, it took several days for the official propaganda machine to get going. 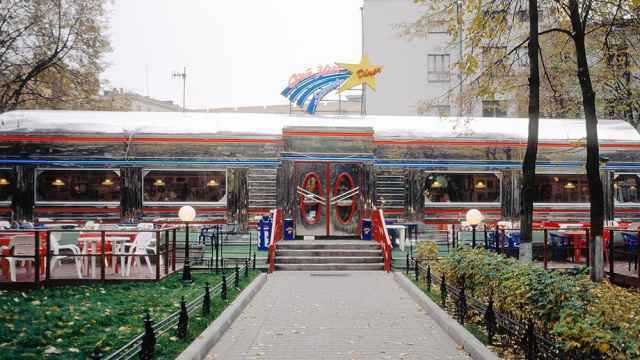 On Oct. 7, a Monday, Pravda merely ran a report about the cities that Sputnik had flown over. A full four days after the launch, on Oct. 9, the newspaper finally produced a full-sized, front-page report with a huge photo of the satellite. Having finally grasped the enormous propaganda potential, Khrushchev told his engineers to launch a second satellite in time for the October Revolution holiday on Nov. 7. "We only had one month to make a miracle happen. We could not just send that ball up again," Chertok said. The scientists managed to launch a much bigger satellite on Nov. 3. Sputnik 2 weighed more than 500 kilograms, was cone-shaped and carried Laika, the mongrel dog lauded as the first animal in space. Although later it was revealed that she died of the extreme heat within hours of liftoff, Laika paved the way for human spaceflight. The British government protested Laika's treatment as cruel. 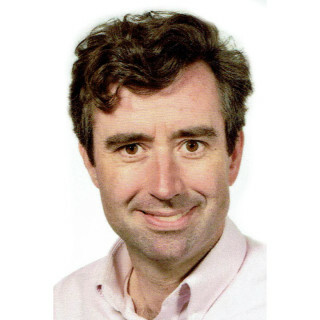 "The country of Isaac Newton was the only in the world to protest," Chertok said. Sputnik led the United States to create NASA in October 1958. The Soviets eventually lost their lead in space when the United States sent the first men to the moon in 1969. The space race triggered by Sputnik laid the foundation for all later successes in space exploration. "Without that tough technological competition, no man would have reached the moon in 1969," Zimmer said. In contrast, the post-Cold-War world has lacked such a catalyst. "There is much less going on today," Zimmer said. The Russian space industry, he said, has been reduced to providing cheap rocket flights. The Central Bank is minting a commemorative coin for the Sputnik anniversary on Wednesday. The 31-gram silver coin will have a denominational value of 3 rubles, RIA-Novosti reported. Among their other achievements, Korolyov's engineers built the first unmanned spacecraft to reach the moon, took the first photographs of the dark side of the moon and sent the first man into space, Yury Gagarin, in April 1961. Korolyov's identity was kept secret by the Soviet leadership and only revealed after he died in 1966. Chertok's identity and involvement in the space program were a state secret for decades. Chertok, who still works as a consultant twice a week at spacecraft manufacturer Energia, outside Moscow, is proud of the contribution Korolyov's engineers gave to the world through space technology, including satellite phones and GPS navigation systems. "You don't know it, but many people use our science all the time," he said.